A weekly newspaper reporter trekked the equivalent of two-and-a-half marathons to raise funds for a children’s charity. 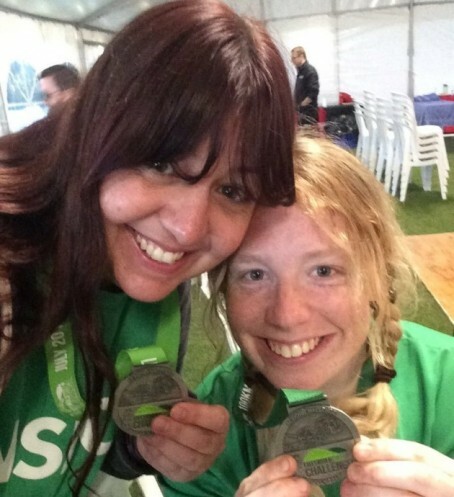 Sheridan Robins, of Somerset weekly the Weston Mercury, took part in the Cotswolds Challenge, which saw her hike 100km over the course of two days for the NSPCC. Sheridan, 26, and her friend Lousie Scarff, 33, had signed up to the challenge on a whim earlier this year. Louise had to drop out through hip and knee injuries after the first day, but Sheridan completed the entirety of the Bath to Cheltenham route. The pair raised in excess of £840 for the NSPCC. Sheridan told the Mercury: “The support I had was second to none and the most important thing is the money I raised for the NSPCC.